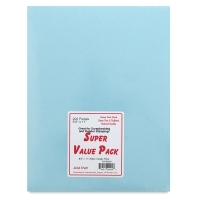 Heavyweight cardstock in a value pack! 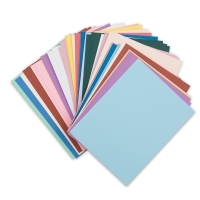 The Paper Accents Cardstock Super Value Pack includes 200 sheets of 8½" × 11" cardstock that is acid-free, lignin-free, and archival, in a variety of smooth, solid colors. This heavyweight 65 lb cardstock can be decorated with paint, markers, or stickers — it's also great for rubber stamping and papercrafts. ® Paper Accents is a registered trademark.